Plot: Hogwarts plays host to the Tri-Wizard Tournament and Harry becomes an unwilling participant as a dark plot takes place to revive the dark wizard Voldemort. Probably The 2nd Best Potter Film Goblet Of Fire is very dark, sinister, mature, creepy, tense, and overall brilliant. Hogwarts plays host to the Tri-Wizard Tournament and Harry becomes an unwilling participant as a dark plot takes place to revive the dark wizard Voldemort. This movie has better visuals but the movie has a awesome cameo from my favorite actor of all time and he was from doctor who. The turning point in the series. 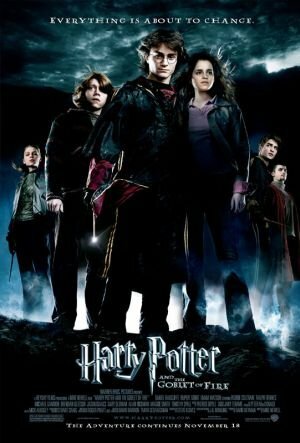 The Goblet of Fire is probably my favorite HP film in the series. I loved the Tri-Wizard Tournament, and I really enjoyed Brendan Gleeson's performance as Professor Moody. Voldemort's first physical appearance is what made the film for me; the film builds perfectly to a strong ending that really adds depth to Harry's character. Ralph Fiennes is terrific as the Dark Lord.